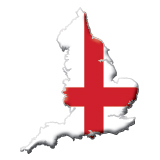 Are you fed-up with British political leaders who refuse to recognise England as a nation and ignore this legitimate desire of English people? Do you hate the hypocrisy of the politically-correct elite who allow everyone the right to their national identity, except the English, who they demonised as racists? Do you want England to have its own distinct voice in how UK (United Kingdom of Great Britain and Northern Ireland) should be governed? We welcome views from all, regardless of who you vote for. We ask only that you believe in our English nation and want to see it treated fairly. Be the first to comment on "ECC Conference 2017"